Concentrated Couples Therapy MN couples rely upon for experienced help with their marriage. Psychologist Diane Foy in Minneapolis has 27 years of practice with advanced training in the science of helping couples. Working privately with both of you for the entire weekend. Diane is a distinguished member of our international team of 24 clinicians. She has advanced training in a science-based form of marriage counseling MN. The training and experience of your therapist should be your first priority in choosing the best marriage counselors in Minneapolis for your retreat. Allow us to introduce our Couples Counseling MN professional. With over 27 years of post-graduate experience, Diane has advanced training in the Gottman Method, strategic and hypnotherapeutic techniques. She is a Member of the Minnesota Psychological Association and licensed as a psychologist (#3144) by the State of Minnesota Board of Psychology. In addition to supervising graduate psychology student interns, Diane has worked with adults with severe and persistent mental illness and developed a variety of training programs, including an affect management group for woman. She's conducted consultation, training and leadership development in a variety of settings. She is most passionate about couples counseling, Minneapolis! You'll be in good hands with the psychologist we've chosen to provide marriage counseling MN. She has experience, advanced training in helping couples, and experience with the toughest problems like affair recovery, chronic fighting, or emotional distance and sexual alienation. Convenience is also important today. Our couples are busy professionals, and intensive marriage counseling MN is a form of couples help offering the highest chance of attending and completing treatment, and therefore the best odds of achieving relationship success. Weekly sessions aren't in-depth enough for many couples. Intensive, science-based help combines six months of couples therapy in less than 3 days. And at 70-90% scientifically proven effective, it's perfect for busy couples. Why a Private Couples Therapy Retreat MN? Private couples counseling retreats: To conquer your greatest relationship challenges. There are dozens of options for couples therapy, in Minneapolis and across Minnesota. But most are group psycho-educational experiences. Some offer couples romantic breaks or a luxury holiday in a beautiful location. But what good is a romantic weekend that ends in bickering and coldness? Some are faith-based, "couples boot camp retreat" groups, or focused solely on improving your communication which may be helpful for the mildly distressed. Our private therapy retreats are different. Weekend retreats for married couples, or those in committed relationships. Our marriage counseling retreats help one couple at a time to reconnect, improve their communication and rebuild trust. And get at the heart of the matter. Diane Foy has been helping couples and families in Minneapolis and the Twin Cities for over twenty-seven years. You can trust her with your relationship, too. Couples Therapy Inc.'s team is comprised of primarily mature, senior clinicians offering marriage counseling not only in Minneapolis, but in 20 other locations around the USA and three others across the globe. This collaborative team holds these private, therapeutic intensives with one couples at a time with one highly-skilled therapist. It begins with an extensive online science-based questionnaire as part of your assessment. We call it "The BIG BIG Book," and it contains more than 800 questions which are scored and analyzed before you attend. Choose weekend couples counseling if you're in relationship distress. Or if you want to dramatically improve how you are relating now. While every marriage is different, and no marriage retreat can promise guaranteed results, our couples retreat serving MN offers you a step-by-step understanding of what types of science-based interventions will be most effective and impactful. A couple that is committed to the process will leave with a deep, fundamental understanding of the particular challenges their marriages face. They will also discover what makes some relationship problems "unresolvable," and how to work with value and lifestyle differences. We're the Couples Therapy Retreat MN relies upon. We serve couples of all kinds: straight and gay couples, those in long-term relationships, newly engaged or newlywed couples. Even couples facing the crisis of divorce or affairs. Ms. Foy is a Couples Therapist with advanced training in one of the most well-known science-based couples therapy: The Gottman Method. She will help you to break down barriers, and get to the heart of your issues. She knows how to help Minnesota couples address long standing areas of conflict, infidelity, divorce threats, and other challenges such as managing early trauma histories, mental health or physical health issues, or extended family struggles that affect the partnership. Diane sees couples from around the Midwest, across the USA, and around the world. Not simply a "Marriage Retreat." This is a marriage retreat applying real science-based help combined with maturity and advanced clinical acumen. Diane Foy is broadly trained as a psychologist. That means that she's learned many approaches to help a variety of personal and relationship ills. She's a gifted member of the Greater Minneapolis therapeutic community. Diane's availability in this couples therapy weekend is limited. Get a jump-start and change around your relationship dynamics with a thoroughly trained expert with decades of science-based experience. This is the Couples Retreat MN relies upon. Diane's office is in Chaska, MN, a small town previously names the eighth-best city in the United States and a wonderful Minnesota region. Chaska is home of the "World's Largest" 3D printed "Mustache" to be found at 516 N Pine Street in downtown Chaska! The mustache is nearly 12 feet wide, and took over 300 hours to print. It's also home to Softsoap and NorticTrack. 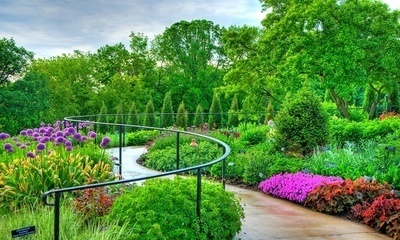 Chaska is an easy half-hour drive from Minneapolis and the Twin Cities. Diane travels to your location. Some couples want a luxury holiday while working in couples therapy with a highly-trained clinician. If they plan to enhance their sexual intimacy, they may want a romantic weekend. They prefer a weekend with outstanding natural beauty, a hot tub or country house. Or a luxury hotel. They want to combine a romantic weekend with the work of improving their marriage in expert couples counseling. Named after "The Mill City," originally after lumber - to 'hew' means to square beams from logs. 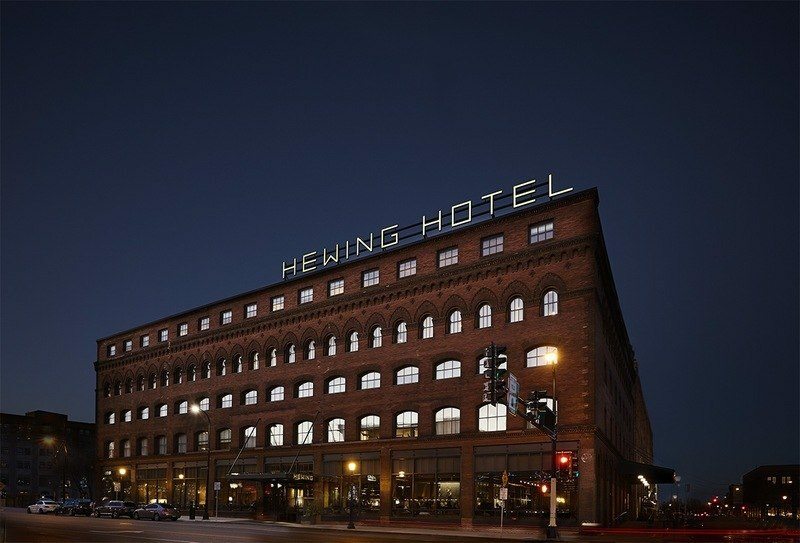 The Hewing is a 120-year old building that was completely redone in 2016. With a traditional Finnish sauna, a spa pool, and curated bar serving seasonal and regional favorites. The Rooftop is a one-of-a-kind North loop hangout. 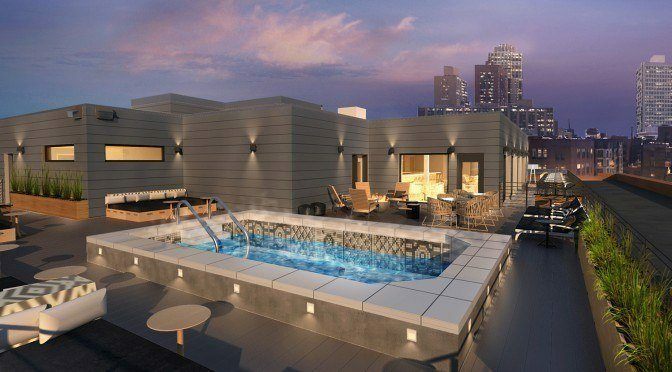 Soak in the sunlit poolside during the day, then watch the Minneapolis skyline come to life at night. Expect an amazing experience with second-to-none service. It's one of the only hotels in the nation offering a "snowball vending machine" to take a little bit of Minnesota home with you in wintertime. It also displays sixty-five beautiful blown glass "rain drops" designed and created by local Foci - the Minneapolis Center for Glass Arts cooperative. Be sure to search out the 9 purple raindrops designed as a tribute to singer Prince. Enjoy the pampering Spa, fitness classes, sauna, steam room and heated swimming pool. The restaurant, Tullibee pays just as much attention to obscure cuts of meat as it does to delicious lefse (a traditional soft Norwegian flatbread...) and artfully prepared vegetables with Nordic sensibilities. Our favorite bedroom for couples who are struggling to spend pleasant time together is the George Henry Suite, a large corner suite with a bedroom door that shuts out the larger living area. Are you looking for the “best” marriage counselors in Minneapolis to run your weekend marriage retreat? Using the "best" format? Only you can determine who and what's "best" for yourself. And it may look confusing with an array of choices in those offering marriage counseling MN. 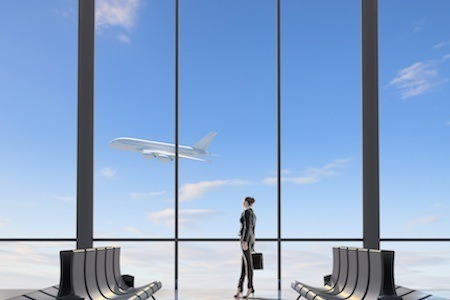 Private Couples Retreat MN or Group Retreat in the Twin Cities: What's the difference? Group retreats are relatively inexpensive compared with private one-to-one couples retreats. Look for a Group Couples Retreat in MN that teaches basic skills...or are just for fun. Usually cost $750-$1000 for a weekend group retreat. Look at the actual clinical skills of the couples therapist. That should be listed and clearly spelled out on the website. Look at their graduate training, post-graduate experience, objective training credentials in couples therapy and related recognition of professional certifications. It's not enough to be told that the therapist has "extensive training." Ask who offered that training and what objective certifications were given and by whom. We discovered that one agency "certified" it's own staff! Find the right Couples Therapy Retreat MN for you by asking these five simple questions. Who offers these couples retreats in the MN? What’s your philosophy? Who actually runs that private marriage retreat we will be going to? What's the clinician's name? What do these couples retreats MN look like? It’s a basic question. Who are you? Who runs this company? Remarkably on some websites, that's hard to determine. Couples Therapy Inc. is a specialty practice devoted solely to couples therapy. Our group of skilled couples therapists are among the most senior couples therapists on the planet. Our practice is proudly composed of 24 experienced couples therapists licensed as psychologists, marriage and family therapists, clinical social workers, and mental health counselors (or trainees), half of whom have more than 20 years of clinical experience. We have over 558 collective years conducting doctoral, graduate and higher diplomas (international) psychotherapy in the USA, and across the world. Four of our team are Master Trainers with the prestigious Gottman Institute, training therapists around the world. They select who will and who won't be future Gottman therapists. Seven of our team have attained the coveted Gottman Method Certification. Most have training in two or more science-based approaches. We specialize in science-based or evidence-based treatment to help couples in intensive couples retreats because we believe it has been proven effective. Look for a licensed therapist with the most advanced training in these methods that you can find, or, ideally, someone with experience in both. Diane Foy has advanced training in the Gottman method. 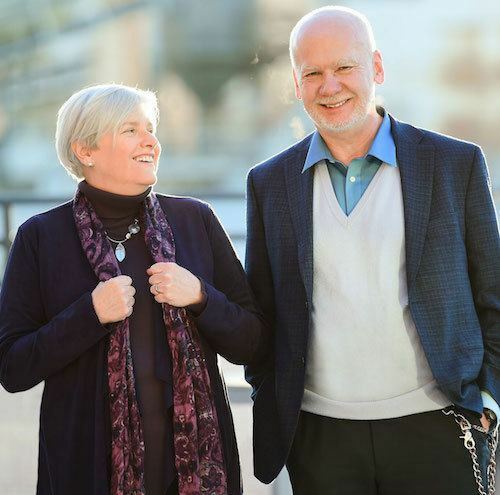 Dr. Kathy McMahon, a clinical psychologist with over 30 years of experience, owns and runs Couples Therapy Inc. with her husband and fellow couples therapist Daniel Dashnaw, MS, MA, MFT. And we think we’ve done a darn good job, especially for those of you who live in Minnesota and the upper Midwest. We offer a wonderful skilled couples therapist, psychologist Diane Foy. We’re proud to talk about our highly-skilled clinician running a couples retreat in the Twin Cities in just a moment, but first let’s talk about our philosophy about these Couples Therapy Retreats. We’ve chosen as our collective starting point a science-based approach from the famous Gottman Institute. But some of us have incorporated training in the OTHER science-based method, Emotionally-Focused Couples Therapy, the less well-known Solution Focused Couples Therapy, and clinically-grounded methods such as the Developmental Model or Imago Therapy. For couples with a strong faith-based Christian perspective, we also have two ministers on our team (in Kansas City, Missouri metro area and in Missoula, Montana) and one marriage and family therapist in the deep South (in Charleston, South Carolina) with that same, pragmatic, science-based approach, but who also can help you bring a greater awareness and understanding of what’s gone wrong in your marriage by incorporating a Christian-based or biblical-based approach into your couples intensive retreat. What’s the therapist’s name and credentials running these Intensive Couples Therapy Retreats in Minnesota? 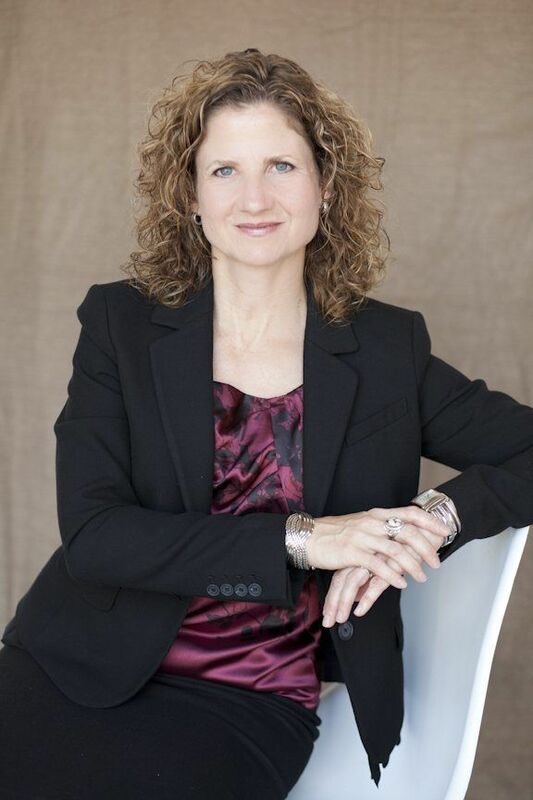 Diane Foy is licensed psychologist in Minnesota with over 27 years of post-graduate experience. Diane has advanced training in the Gottman Method, strategic and hypnotherapeutic techniques. She is a Member of the Minnesota Psychological Association and licensed as a psychologist (#3144) by the State of Minnesota Board of Psychology. 3. What do your Couples Therapy Retreats Look like? These retreats aren’t a “couples bootcamp” of fun activities. They are private, individually-tailored couples therapy retreats for couples in distress that are scheduled typically over a weekend. One highly skilled marriage counselor and one couple at a time. The Couples Therapy begins with an “Assessment” of your Marital Relationship. We make it convenient for you, as each of you complete it separately online in the privacy of your home or office. The following day, we use a clinically-structured “disagreement” that we videotape and analyze. We use this tape to determine the presence of “The Four Horsemen” and begin to tailor our treatment plan to your needs. All of it is a part of a science-based couples counseling protocol designed by the Gottman Institute. 4. Who should attend this Marriage Counseling Intensive in MN? Beyond the buzzwords, an intensive marriage counseling retreat is all about two things: The therapist's seniority, training and the approach. Couples seek us out for a variety of reasons. Some have a strong, healthy relationship and want to keep it that way, while other couples have been impacted by more serious relationship damage such as affairs, poor fighting skills, resentments, long-standing anger, or painful, regrettable incidents. Some spouses, especially the hurt partner, are desperate to work with a couples therapist after learning about an affair and many therapists welcome them into their intensive retreats without question. This is a wise decision for some married couples, and a painful waste of time and money for others. Our screening determines whether your level of emotional regulation and eating and sleeping patterns have stabilized enough to make use of this rigorous and costly work. If you're not yet ready, we may suggest, instead, spending time with one of our coaches individually, to focus on self-care, before a retreat is scheduled. Our intensive couples therapy MN is also not appropriate for couples dealing with active addiction, domestic violence, or other ongoing psychiatric issues that require hospitalization, psychiatric medical care, or weekly work. In those situations, we recommend seeking a clinical assessment and possibly ongoing counseling with Diane Foy herself, in her weekly psychotherapy practice or another local clinician. 5. How much do these Private Intensive Marriage Counseling Retreats cost? You are booking your couples therapist for 2 hours on Friday night, and 7 hours each for the next two days. And scoring the BIG BIG Book takes 2.5 additional clinical hours. That’s 18.5 hours. Our retreats range in price from $3000 to $5000 per couple (the owner, Dr. K, and joint (male-female team) retreats are more…) for 18.5 hours of clinical time, depending on the skills, credentials, and location of the therapist. Each therapist sets their own rate for these couples therapy weekends, and Diane Foy sets her fee on the lower range of that range. Contact us or visit our website for more details. I'm not in Minnesota. Do you hold a couples retreat near me? * We respect all restrictions placed on psychotherapists in some states or countries. We may need additional time to become licensed in those districts, states, or countries, if needed.